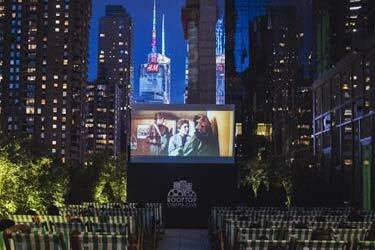 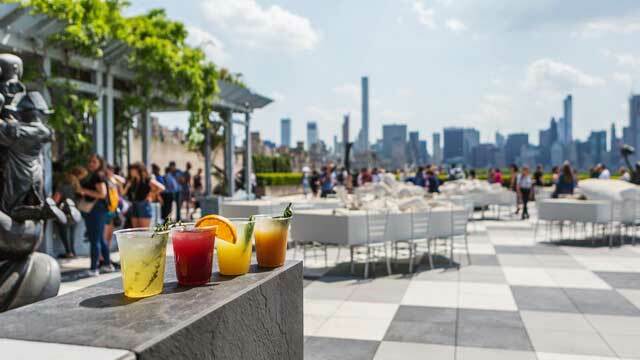 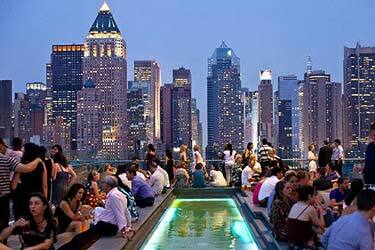 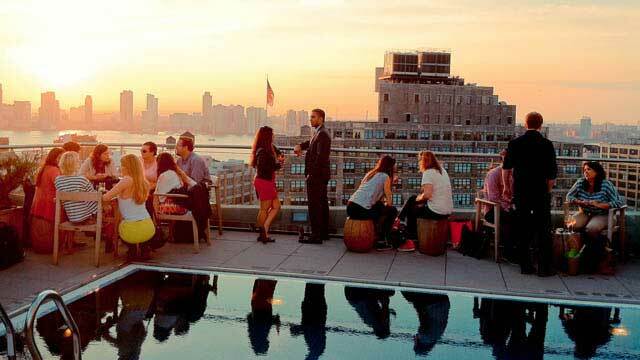 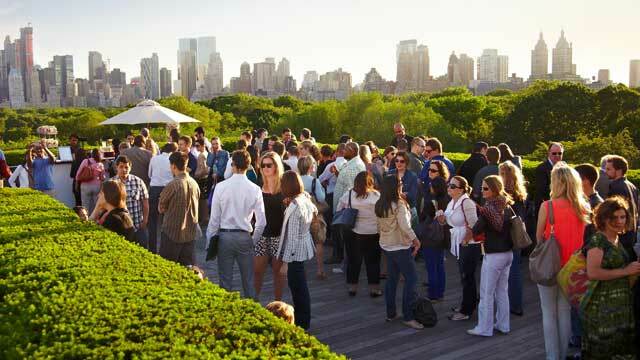 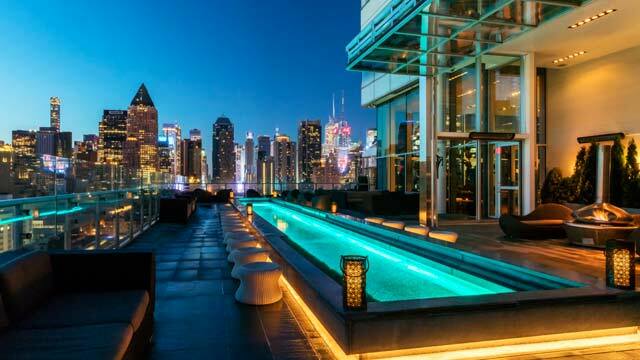 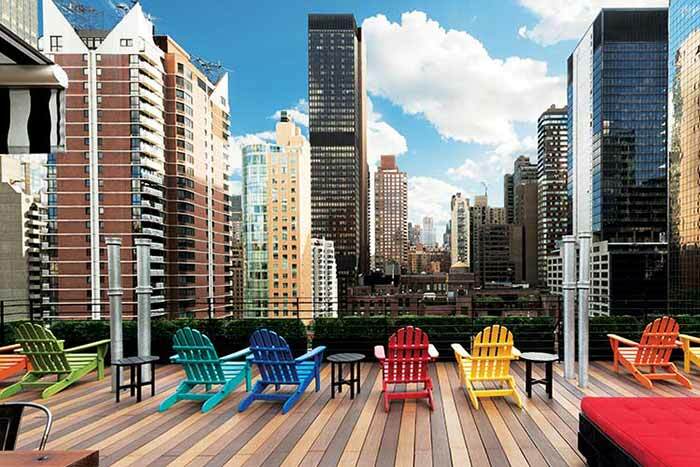 The Cantor Roof Garden Bar (previously Roof Garden Café and Martini Bar) is a New York rooftop bar located at one of the world's most famous museums, the Metropolitan Museum of Art. 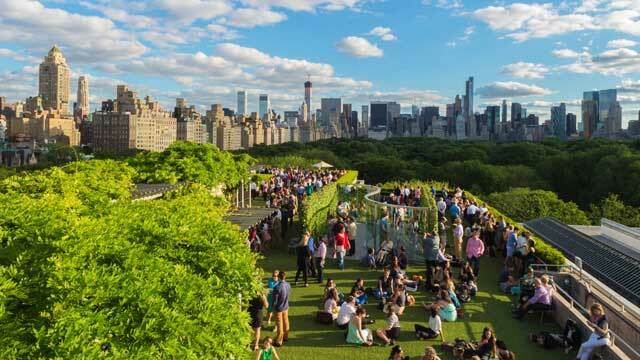 The museum itself is placed in the east side of Central Park, and from the roof terrace at The Cantor Roof Garden NYC you get a completely magical view across the park and the surrounding skyscrapers. 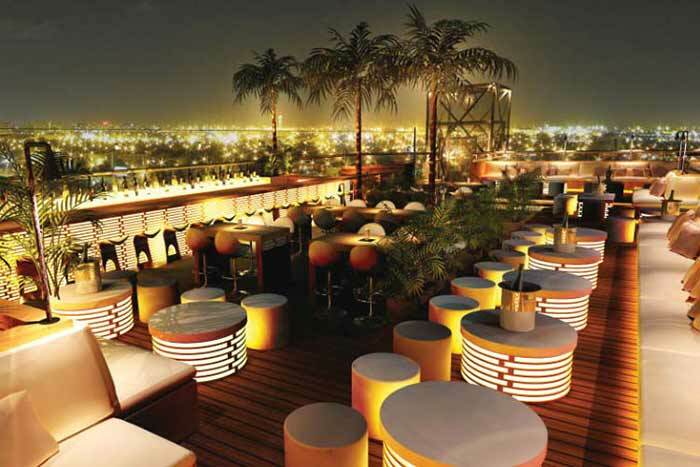 The roof garden is large and lush, with some benches and tables to sit at, or you just place yourself at the big lawn. 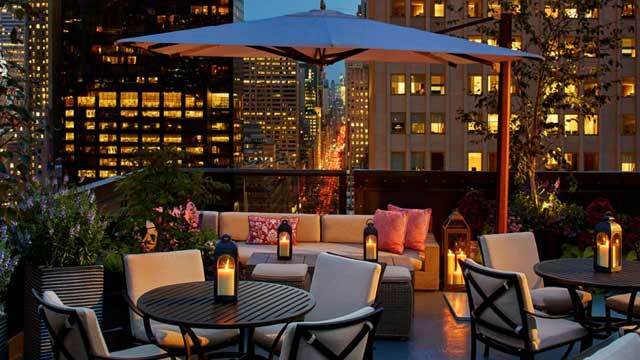 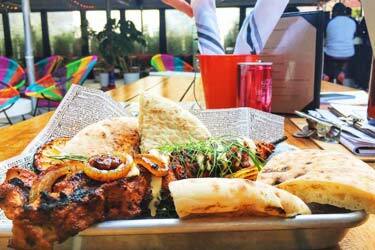 The rooftop bar offers some specialty cocktails, wine by the glass, housemade lemonade and some sandwiches & salads. 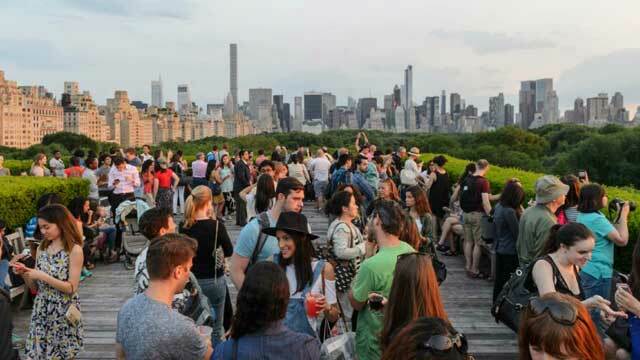 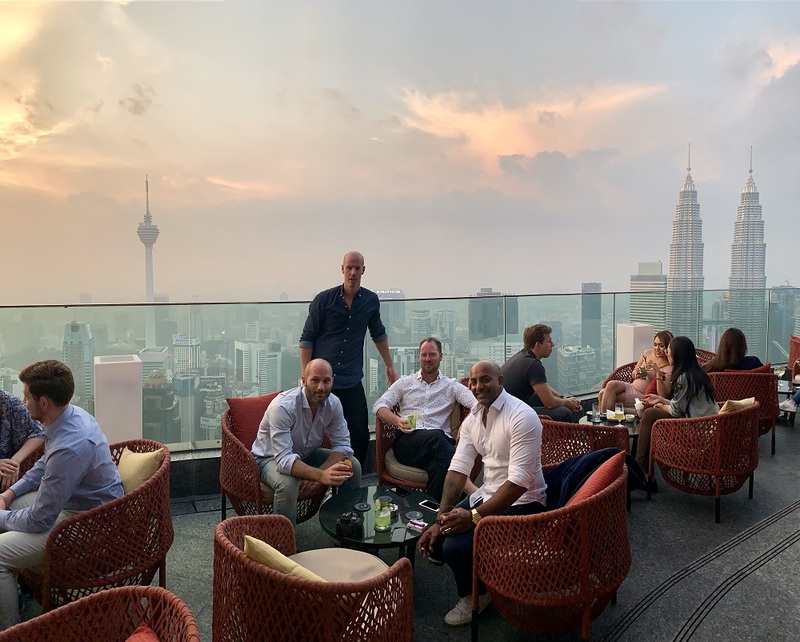 You can also go up to the roof without buying anything and just enjoy the view, or as a group you pre-ordered cocktails and make it part of the museum tour. 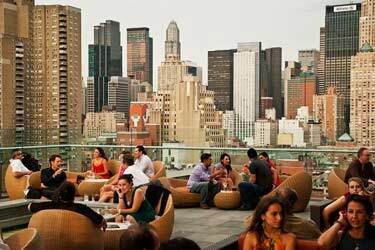 Mainly open during the day (mid–April through October), The Cantor Roof Garden Bar is a perfect rooftop bar in NYC if you are looking for a bit calmer atmosphere, either as a break in museum sightseeing or some cocktails with friends enjoying sunset views over Central Park.